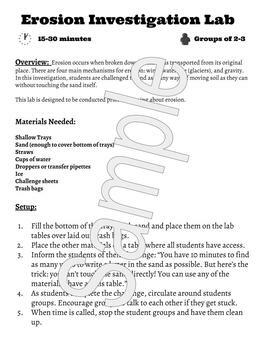 This is a quick inquiry based lab to introduce the different methods of erosion: wind, water, glacial, and gravity. 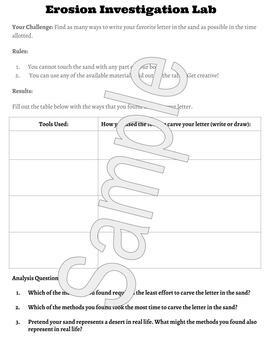 Students will use a variety of tools to simulate erosion on a plate of sand. 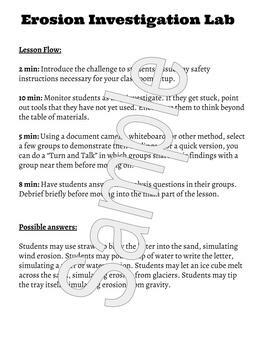 Great for any age of kid, and can be scaled down or up as your lesson needs require!